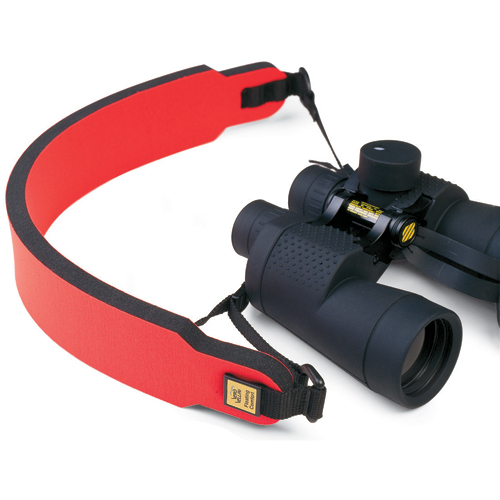 Comfortable foam-cushioned strap reduces the fatigue of holding binoculars all day and provides a margin of safety by floating your binoculars. Adjustable. Bright-orange. Floats all binoculars we carry.